Time ran out for residents of San Jose’s tent city known as Hope Village. The city forced the village to close Sunday afternoon after the Federal Aviation Administration deemed its current location unfit for residential use because of noise from incoming airplanes to Mineta San Jose International Airport. The city has promised to find another spot for the sanctioned homeless encampment, but so far, efforts have hit only road blocks. Residents of the tent city have been given 30-day motel vouchers. Leaders of the encampment say after that, many will likely move back in along Coyote Creek or Guadalupe River. "It's sad that they don't have a place to go," Hope Village leader Phillip Roemer said. "It's a pretty simple good idea. You have a way to get them out of the week, stop polluting the creek, restrooms, trash, shower facilities. Really give people a lot of dignity." 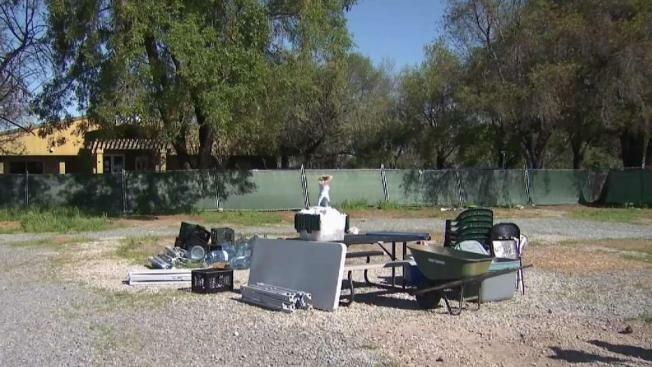 A proposed relocation of the homeless camp to San Jose's Willow Glen neighborhood was put on hold last week after strong opposition from many neighbors.